Whatever your needs, A Clearer Picture will provide you with the ideal solution, from bespoke design to CCTV installation using top of the line products that you can trust from the best security systems designers in the business. We specialise in domestic and commercial CCTV installation, and offer a comprehensive range of CCTV system design and fitting services across Brighton and Hove. Our professional team of CCTV installers will consult with you to design and install the best CCTV security system for your home or business to ensure that your needs are covered. We’re available seven days a week, and can even make same-day appointments if necessary in the case of an emergency. Our team of highly experienced installers offer a wide variety of services from State-Of-The-Art Commercial CCTV to budget Domestic CCTV systems. Most CCTV systems now have the added bonus of remote accessibility, this enables the user to monitor their CCTV systems from anywhere in the world providing, peace of mind and to the second monitoring if you just need to keep an eye on employees! These HD cameras record in HD quality and are so good that in the event of a burglary or crime can be used as evidence in court. Providing a powerful deterrent and justice for those caught offending. This can be adjusting your existing system to ensure your recording times are set to when you would like them. Or to realign your existing cameras. SD cameras offer a cheaper alternative to HD and IP cameras if you are on a budget. A camera in place on your home or business will always act as deterrent to any burglar regardless of it being HD or not. Centralized, these require a NVR (Network Video Recorder) to store the recorded images. Decentralized, these do not require a NVR and can record either onto SD cards at the camera themselves or send the information to your PC to record via a wireless network. A Clearer Picture is an independent and locally-run business based in Brighton and Hove, and we have a team of CCTV installation engineers who will assess your needs and design a CCTV security system that’s just right for your home or business. We will meet with you at a time that fits in with your schedule. We provide CCTV installation services across Brighton and Hove every day and only hire top of the line engineers, so you can rest assured that we’ll provide you with the best service possible. Most of all, we are dedicated to helping you at every step of the way with your CCTV security system, from designing a bespoke system that works for you, to correctly installing your CCTV system, to providing you with all the advice, guidance and support that you might need after installation. If you want heightened security with the best CCTV installation possible, contact us today at A Clearer Picture today, Brighton and Hove’s premier CCTV installation experts. From top of the range 16 mega pixel IP cameras to mainstream CCTV systems, there are hundreds of variants to meet your requirements. We specialise in creating bespoke packages designed to tick every box. These systems span from single camera line fed to multi-camera options with fibre optic and microwave transmission. You can also choose to view the images either locally or have them transmitted to other sites for remote viewing.The hardware is linked to high resolution digital recorders for exceptional image quality and subject to Broadband, can be accessed over the internet via your PC, laptop, tablet and even a smart phone anywhere around the world. At A Clearer Picture, our mission is to only deliver the best CCTV installation service possible in Brighton and Hove by offering only products and services that are high quality, reliable, and affordable. Consult with us today to see what home CCTV security systems and business CCTV security systems are right for you, allowing you to view what’s going on in your home or business from anywhere in the world. 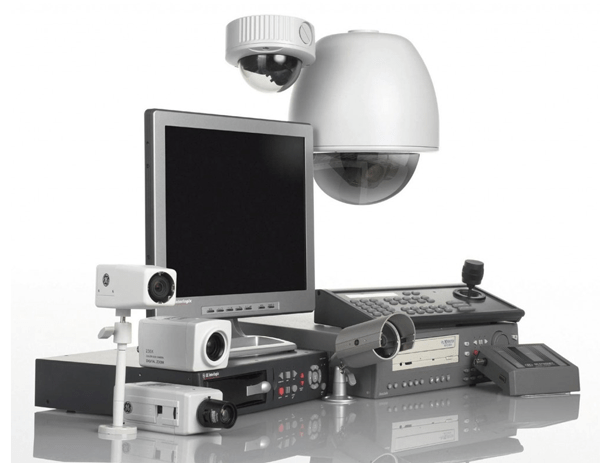 We can fault find and fix many types of CCTV systems; cameras and hardware and provide parts or replacements when necessary. If your system has a fault you need it repaired swiftly, we offer a fast, efficient service to minimise down time and in some instances, can provide loan equipment. We can also carry out maintenance to prolong the life of your equipment. We only install equipment from the top suppliers in the UK that can offer both budget CCTV for those on a small budget right up to state of the art HD equipment that can be used in court as evidence should it come to it.